Ready to unravel past issues and move into the new year inspired? 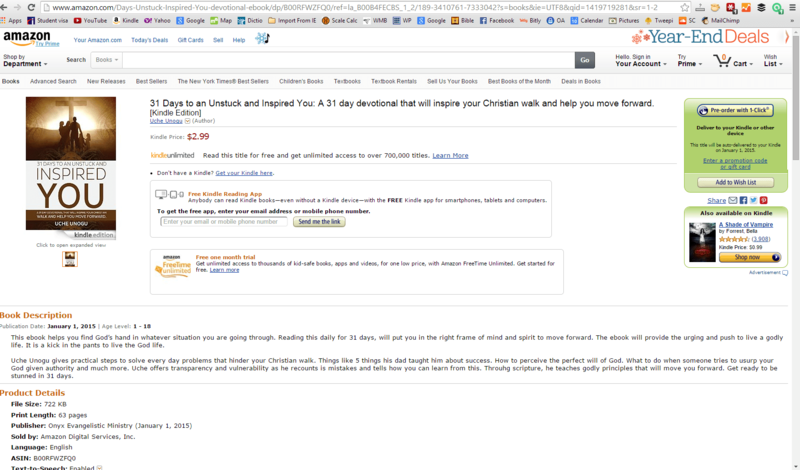 My new book, “31 Days to an Unstuck and Inspired You” is currently available for Pre-order on Amazon. You can own this book now for only $2.99. If you pre-order it before the 31st of December 2014, I will throw in a new bonus music track “In Jesus Name” free. But this bonus offer is only good till December 31st 2014. Some folks already pre-ordered before I could announce it. Thank you. Don’t you think it’s wise to invest in your spiritual growth for the new year? If you are serious about being unstuck and taking your spiritual growth to a higher level, then this book is for you. Watch the Video. If you are unable to scrounge your couch for $2.99 change, don’t worry about it. You will still be able to grab this book for FREE as well. When God called me to ministry, it was to be on the basis of “Freely ye have received, freely give”. Yes, it does cost money and time to make, but God has provided. If I don’t already have your email, sign up below so I can deliver it to you around January 1st 2015. What to do when someone tries to usurp your God given authority. 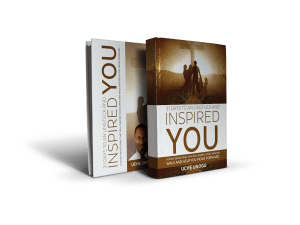 This book contains some of my most popular blog posts for 2014 as chosen by hundreds of people, plus additional content. It is designed as a devotional and you are advised to read it daily for 31 days.